BARCELONA. A city of world renowned culture, from the architecture of Gaudi, to his lesser-known compatriots such as Lluis Domenech i Muntaner and Josep Puig, all of whose work is both beautiful and challenging to the casual viewer. The city of Barcelona FC, ‘mes que un club’, the home of Messi, Neymar, Xavi, and previously Ronaldinho to name a few. A home of mass city tourism, the like only seen in such vast numbers in world Alpha cities like London, Paris and New York. A city of the Olympics, a city of forward thinking, and of urban planning in the grandest of sweeping statements. 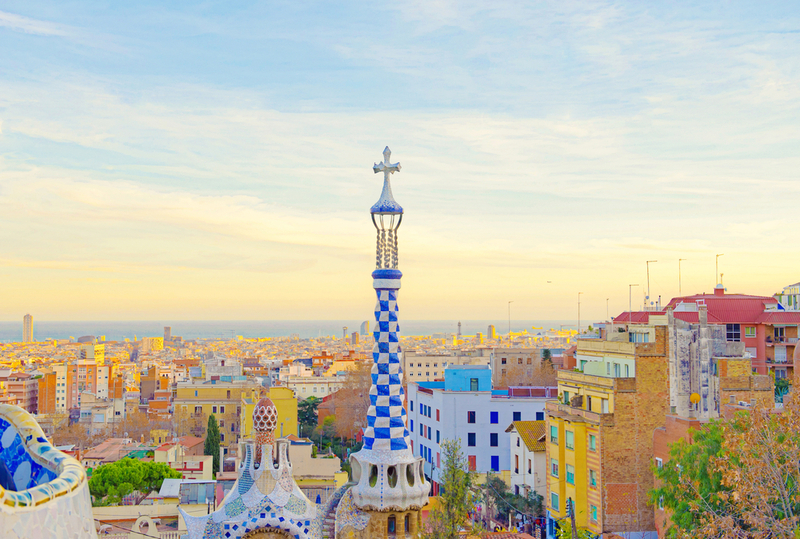 Barcelona is much more than simply the second-biggest city in Spain, it is also an important home to the independence movement that has gripped Catalonia with increased fervour since the advent of the recent recession. Yet it is not a city that is inward looking, retreating back into itself, it is one led by people looking outwards, past its borders and towards the rest of Europe, and the world, mirroring its past as a home of exploration and a city that made its great wealth from trading with the colonies of the Spanish state. It is also a home to great innovation in all aspects of life for residents and visitors alike, and as Mayor of Barcelona, Xavier Trias i Vidal de Llobatera, said in his interview: “We want to be known as a centre for culture, knowledge, and creativity, and as a city that promotes the welfare of its people.” It is this that we set out to show you, our esteemed reader. How has the capital of Catalonia made efforts to outgrow the crisis at home and with international markets? What efforts are the political and business leaders making to push the city and its regions further forward? How are they attracting inward investment, and with what aims? Barcelona is also an important distribution hub for the Mediterranean, a regional powerhouse of exporting with one of the areas biggest food distribution centres in Mercabarna, contained within Zona Franca, again, a leading free zone just on the city’s periphery. A bustling international airport that is the country’s busiest, with over four million arrivals in August alone, and Europe’s single most important cruise port, that in a single day attracted over 31,000 arrivals, even before the city became the home port of the ‘Allure of the Seas’, Royal Caribbean’s biggest vessel. Exciting times for the port look set to continue, with huge investment from Chinese shipping giants, and increased productivity that outstrips many of its competitors. Apart from the notion of independence that is rippling through Catalonia, the city is also the home of the Union of the Mediterranean, a multilateral partnership aiming at increasing the potential for regional integration and cohesion among Euro-Mediterranean countries. The Union for the Mediterranean is inspired by the shared political will to revitalise efforts to trans- form the Mediterranean into an area of peace, democracy, co- operation and prosperity. The creation of a joint secretariat is a keystone in this partnership. The Secretariat is contributing to reinforcing co-ownership of new Mediterranean relations through concrete regional cooperation projects. Recently awarded the title of City of Innovation, Barcelona has also looked for innovative ways to deal with the inevitable budget cuts the recession brought to the city’s coffers. In a ground-breaking challenge, the city council, or ajuntamento, asked the world to solve six problems the city has, from reducing bicycle theft to creating empowering support systems that must reduce social isolation in the city’s residents. By turning the local government system of service procurement on its head, Barna (as it is locally known) has shown that reductions in budgets might not have to mean such painful reductions in services provided, but in the way in which they are provided. 22@ is the city’s innovation centre, and within the district, situated in Poble Nou in the north of the city, multiple entrepreneurship incubators are hard at work searching for solutions to the problems modern, growing cities must deal with if their populations are to live in relative harmony. Many technology companies have set up shop in the city, taking advantage of relatively low wages, a simplified business situation and the desire of prospective employees to work in what is a sunny, open Mediterranean city. And although the economic situation has not fully recovered since 2008, the signs are pointing to a resurgent Barcelona. The Catalan, Spanish and European economies have pulled out of the recession and posted positive quarter-on-quarter GDP growth in the third quarter of 2013, although economic stakeholders continue to make decisions that are conditioned by fiscal adjustment, restructuring of the financial system and the credit crunch. Recent internal demand indicators such as the retail sales rate and vehicle registration rate are on the up, and there is a visible, positive evolution of industrial activities and improved business confidence in the region, pointing to the beginning of economic recovery in Catalonia and the Barcelona area. The GDP of Barcelona in 2010 was €61 billion, which makes up 30.2% of Catalonia’s, with per capita GDP currently standing at €38,500. The city has a diversified economic structure, which is dominated by the tertiary sector, and has significant contributions from strategic sectors, whilst industry continues to carry significant weight. Barcelona is also a centre for research and biotechnology of the highest measure, with just 0.1% of the world’s population, but yet accounting for nearly 1% of global scientific production, from nearly 150 research centres, 60 of which carry out studies on life sciences. The average growth for the sector in Catalonia is almost 30%, which compares favourably with the rest of Europe and the world, and also shows the governments push to expand the Catalan economy towards high value services and products, with eyes on becoming recession proof in the future. And regarding the business of selling the products once they have been developed, in Barcelona there are two of the top 20 business schools in the world based in the city, once again highlighting the forward thinking of the city when it comes to holistically exploiting both its favourable geographic position, and its well-educated, highly skilled human capital. The City Council is in good financial health and applies rigorous budgetary and economic management measures to ensure suppliers are paid in no more than 30 days, which, along- side other measures, have seen the Fitch credit rating agency, as of 18 October 2013, positively assess the city’s liquidity for 2012, and to highlight the dynamic economy and good debt indicators for the Catalan capital. The agency also maintained the maximum rating allowable given the sovereign debt of the Kingdom of Spain (BBB-). Standard & Poor’s ratings review in July highlighted the City Council’s good economic management and the city’s budgetary and financial situation, maintaining the indicative training level of `AA´, although the official rating is rating is BBB-/negative/A-3, due to the situation across the country. This rating takes into account many positive factors like financial management, liquidity, and financial execution, in addition to highlighting solid on-going budgetary compliance. Overall the situation in Barcelona is positive, AA you could say. But how the city continues its bureaucratic revolution, and the way in which it implements the reforms it wants to, whilst at the same time dealing with the independence debate, and allaying any international investors’ fears about direct investment into the city, will show how it can continue to grow and stay as desirable as it already is.